Here’s some info you’ll find helpful in deciding why you should play tennis in Spain, but first let me ask you… have you played the red clay yet? Considered how fun it would feel to play live ball alongside other playing styles? Or truly traveled to improve your game? If tennis in a great destination is your idea of a great tennis experience then tennis in Spain is the right choice. It’s not all about juniors here. Adult players looking to play tennis in Spain have certain criteria. The country’s been a known leader in tennis for decades. Coaching holidays and facilities are very strong. And whether you know it or not, daily programs are a lot of fun which keeps players both adults and juniors coming back for more. Beyond that, it’s an inexpensive place to play adult tennis camps with international players from around the world looking to play on Spain’s red clay..
Tennis has always been a top international sport. But after the 1992 Olympics Spain appeared on the world stage – for tennis. Since then, they’ve continued to dominate – BIG TIME. It remains a top sport enjoyed by junior tenistas modeling elite professionals like Rafa Nadal, David Ferrer and Carlos Moya. It’s also got a dominating coaching corner. Where most coaches have experienced the the highest levels of the game. 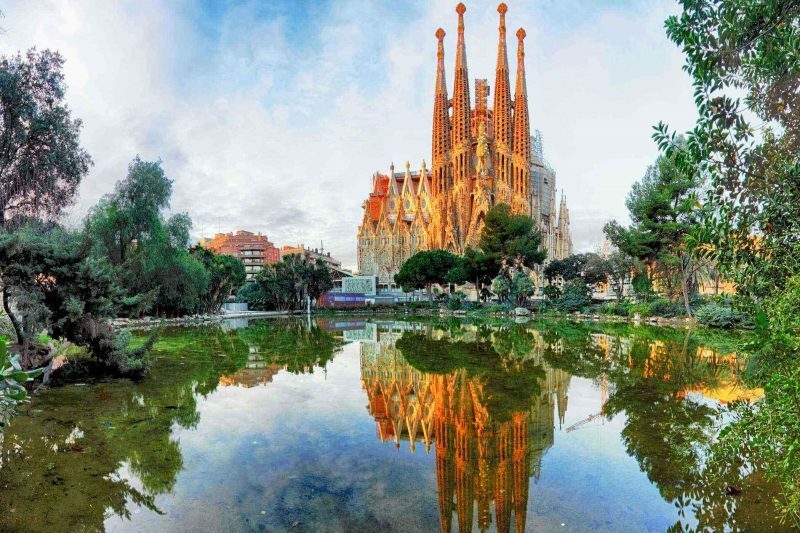 Tennis in Spain is so popular with locals and international players that the enormously popular Barcelona Open Banc Sabadell is hosted annually at the very chic Real Club Barcelona. Home to the world’s TOP players – the Spaniards not only sign on to play but spectators line up in droves for an intimate week of tennis in the city. Spanish tennis facilities are well maintained for players to enjoy the red clay year round. Because of its agreeable weather there are very few indoor facilities for training. In months like December – March kids continue to play outdoors learning to handle the elements. There also aren’t public free courts like other parts of the world. Why do they continue to be a threat on court? The reason for their success is simple and basic. They’re hungry! They work hard enjoying the sport and learning the game on red clay. The ones who aren’t hungry simply don’t last. What are the benefits of learning on the Red Clay? They seldom hit the net, in key points they always play topspin and are resilient in the time it takes to finish the point. They understand the geometry of the court front to back. Side to double sideline. Understanding their best options based on the pace of the ball from their best position. They understand how to structure a point. They’ve got patience & endurance to defend anything coming their way. And the stamina to stick it out and finish long points. This helps to create mental anguish in opponents giving Spanish players an upper hand mentally! Private training and court prices aren’t as expensive as other countries around the world. 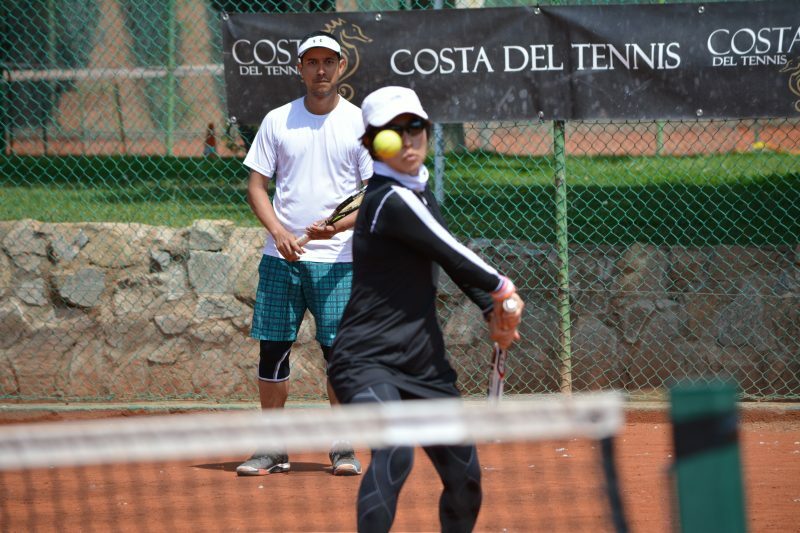 Making tennis in Spain a sustainable sport for the masses to learn, socialize and enjoy year round. The amount of adults who play tennis in places like Barcelona, Mallorca and Madrid is high! It’s easy to play here given the year round mild temperatures & sunshine. Not to mention The Canary Islands are noted as having the best weather in the world. Clay courts are easier on the body. Allowing a way to slow down the learning process and connect with the ball. Thus they enjoy the game injury free into old age..
Summer tennis camps and competition schools are also plentiful. Parents continue to send juniors to train here year-round for the coaches and facilities but also the number of international players training here. Especially those with ambitions of elite levels of play. Another reason to love Tennis in Spain? It’s a cheap and easy to get to. There’s many daily connections that touch down in Barcelona and Madrid. Making quick inexpensive connections to islands and nearby destinations a breeze. Every major & low cost carrier stops in Spain. Once you’ve touched down, public transport is easy, clean and on time. Getting you almost anywhere you need to go efficiently. If you’re looking for a single tennis holiday in Spain apartment rental costs for 3 & 4 *star hotels can be made for under 100 euros per night. European accommodations are cozy and modern and close to metros. Deals on clothing are never ending! Including boutique shops and Spanish retailers prices are fair. An important mention as most of my players forget something at home and need an easy fix while traveling. Spain’s a country easy to love and fun to visit. It really offers you a lot to do and see off court. It should be said that Spain’s cuisine rates a 10! There seems to be an infinite variety of food, with different and interesting variations in every region. You can eat at very inexpensive places and still have a great meal. Each region has its own splendid serendipity. The culture is welcoming, helpful and family oriented. It’s really the place you read about in travel magazines. There’s no question in my mind they’re the happiest people in the world with a lifestyle surrounded by rich gems around every corner. With this gorgeous destination and friendly culture you can’t lose. 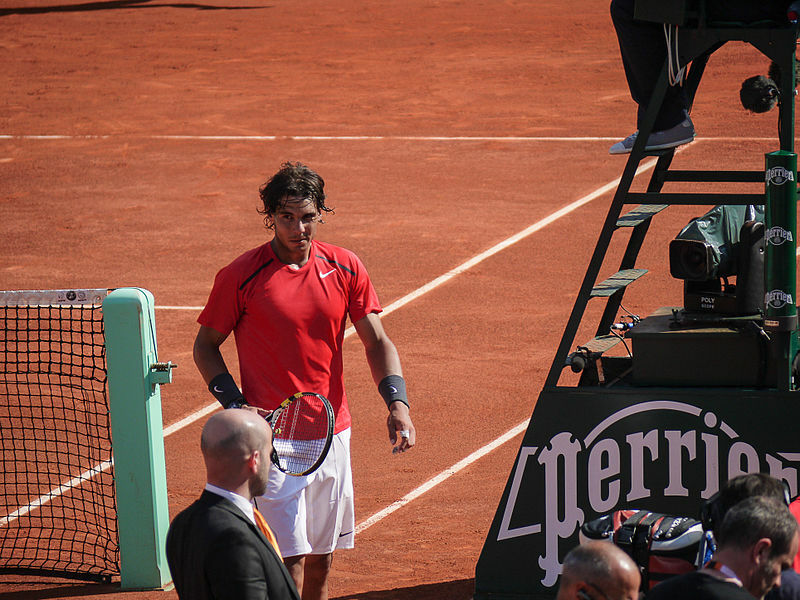 Everything you’ve heard about the humility of the Spanish culture both on & off court is true. It’s no wonder they’ve developed tremendous role models on the ATP world tour. Tennis in Spain is a luxury for you to experience and enjoy if only once in a lifetime. But I must warn you! The sport, country & friendships made here will lure you to return. It’s an easy place to feel good, encouraged and always welcomes you again.